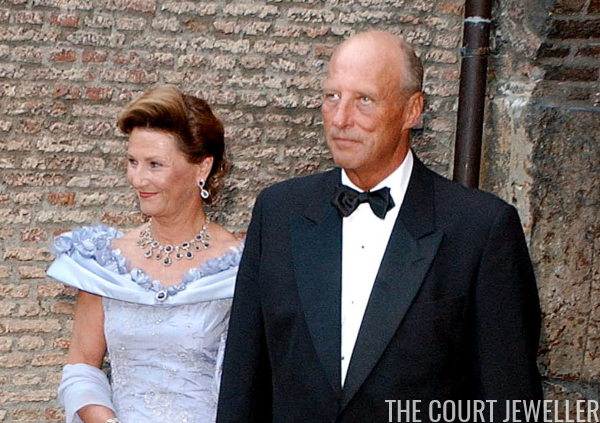 Queen Sonja of Norway wears the tiara from the family's amethyst parure in its necklace configuration for the pre-wedding reception for Crown Prince Haakon and Crown Princess Mette-Marit, 24 August 2001; more on the tiara/necklace over here! 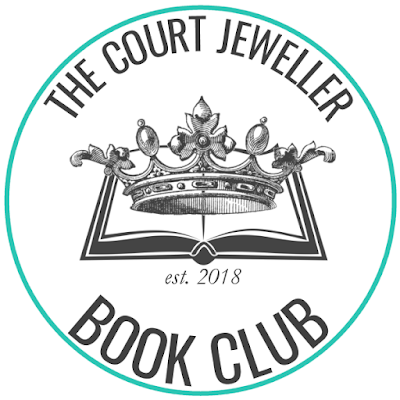 We're back in the swing of things with some major jewels this week -- don't forget to vote for your favorites in the poll below! 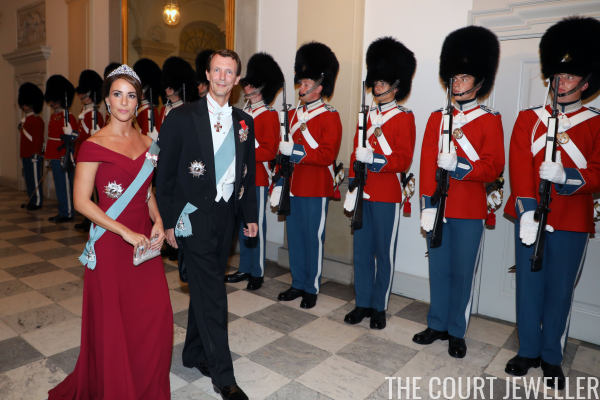 New Details about Princess Marie's New Tiara! Get excited, everyone -- we've got some new information about the sparkling tiara that Princess Marie of Denmark debuted this week! 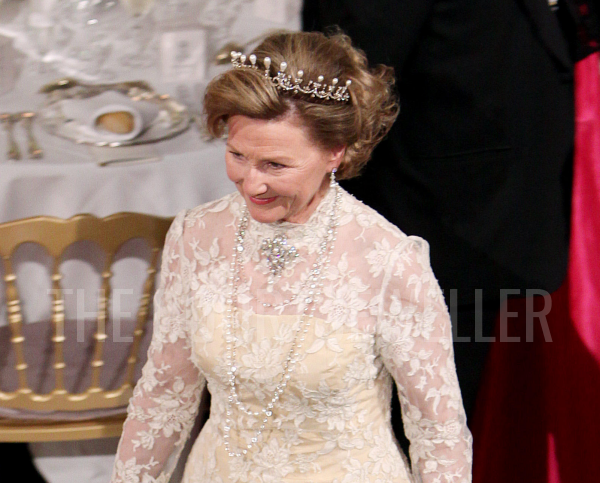 Queen Sonja of Norway wears the smaller setting of the replica of Queen Maud's Pearl Tiara at a dinner in honor of Queen Margrethe II of Denmark's 70th birthday, 16 April 2010; read more about the recreated tiara over here! 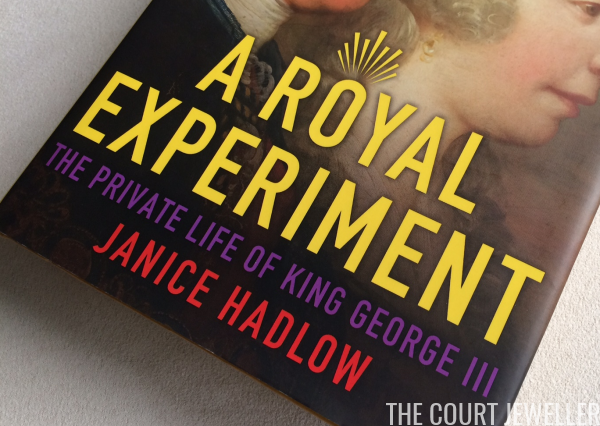 August has nearly come to a close, which means it's time once again to discuss our latest selection for The Court Jeweller Book Club: Janice Hadlow's A Royal Experiment. 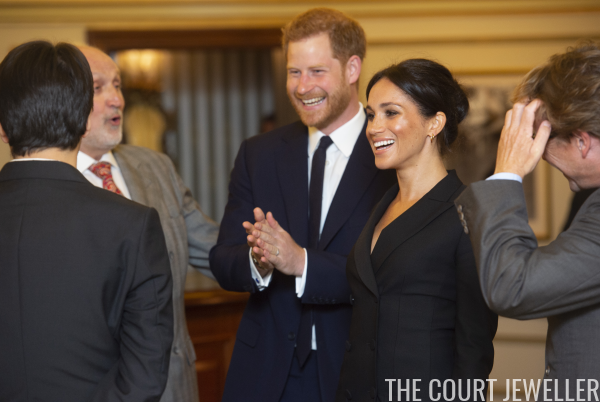 On Wednesday night, the Duke and Duchess of Sussex put on their glad rags to attend a very special musical event in London's West End. 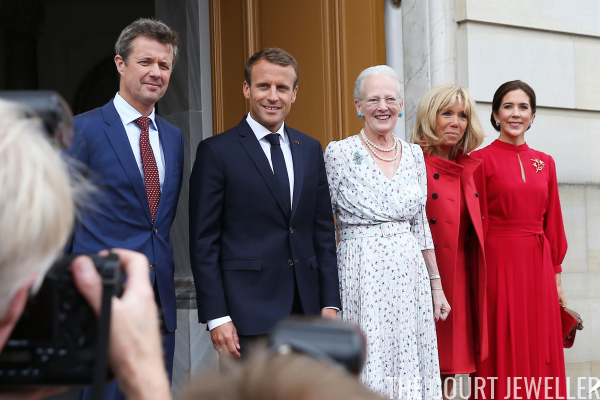 The French state visit to Denmark wrapped up today with engagements in Copenhagen and a low-key return dinner. 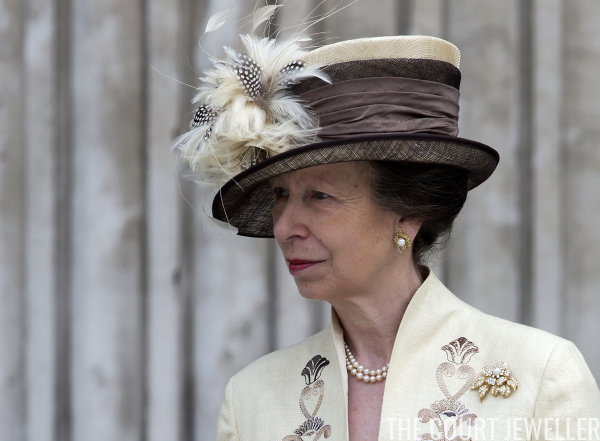 Here's a look at the jewels we saw from the royals today. 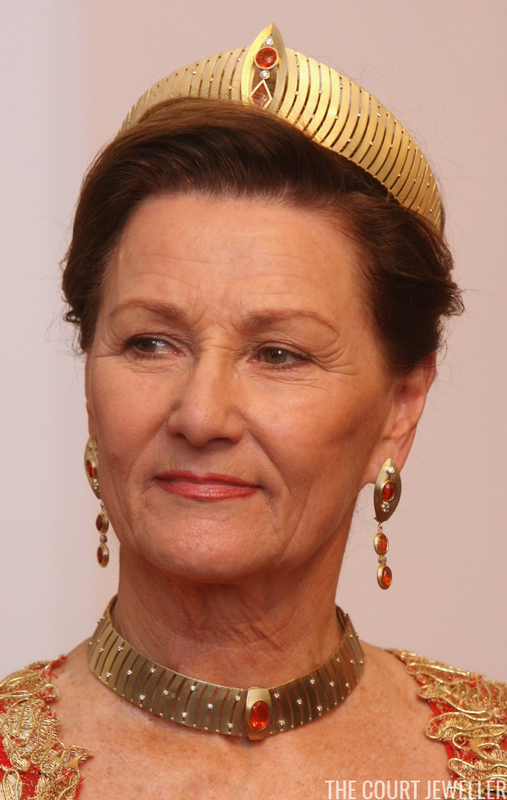 Queen Sonja of Norway wears her Modern Gold Tiara for a state banquet at Bellevue Palace in Berlin, 15 October 2007; more on this unique set here! 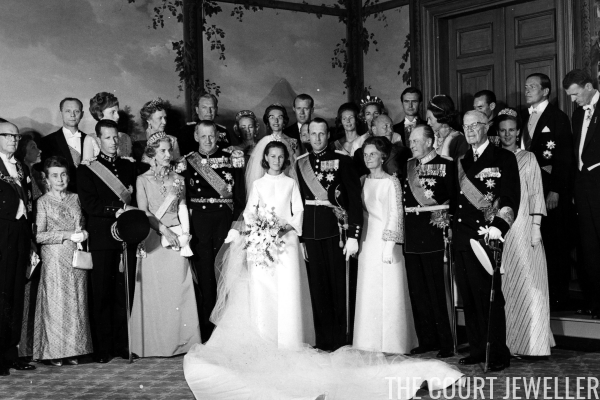 Today, King Harald V and Queen Sonja of Norway mark their golden wedding anniversary, and we're celebrating the milestone by looking back at the tiaras worn for their wedding fifty years ago. Enjoy! 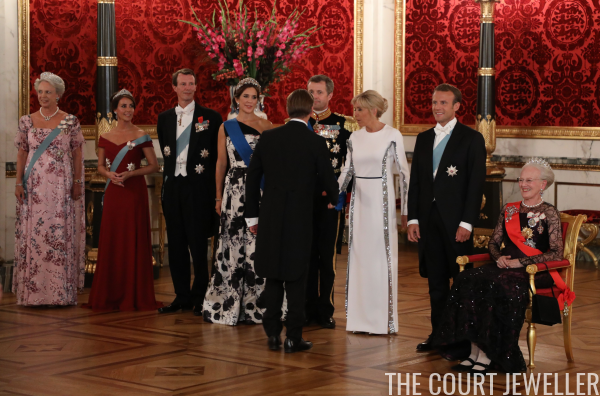 We've got all kinds of glitter coming from the French state banquet in Copenhagen this evening -- including a brand new tiara! As summer draws to a close, we're starting the autumn season of state visit jewels, and today, we're kicking things off with the jewels worn for this morning's welcome ceremony during the French state visit to Denmark. 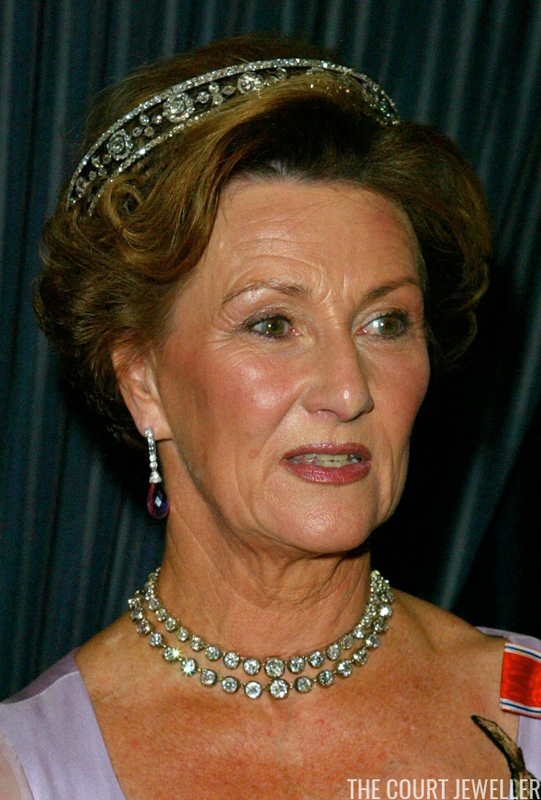 Queen Sonja of Norway wears the base of the Maltese Cross Tiara as a bandeau at the American-Scandinavian Foundation Annual Gala Dinner in New York, 15 October 2002; read more about this British/Norwegian royal heirloom over here! 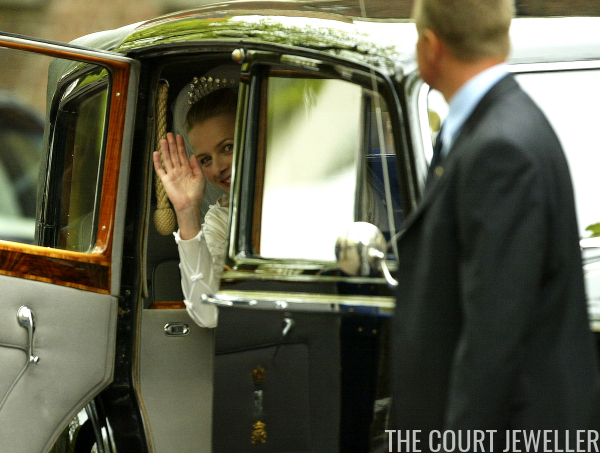 Earlier this month, we spent some time with the anchor brooches from Queen Margrethe II of Denmark's jewelry box. 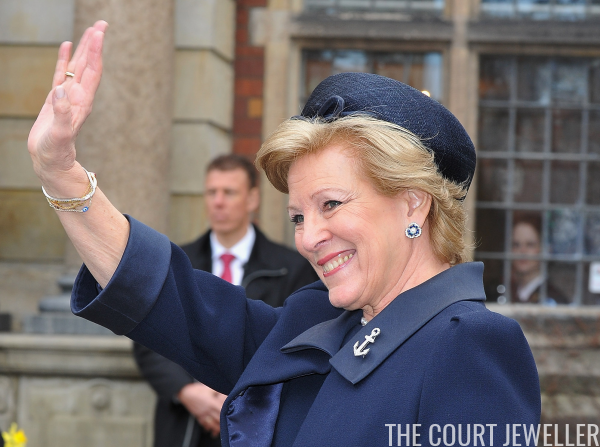 But she's not the only member of the Danish royal family to wear a jeweled anchor. 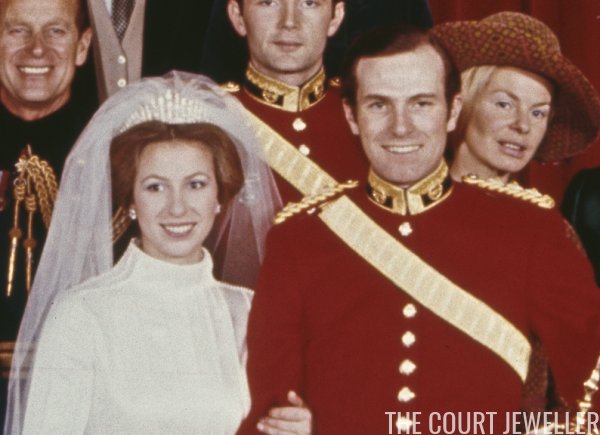 Today, we've got a closer look at the anchor brooch worn by her sister, Queen Anne-Marie. 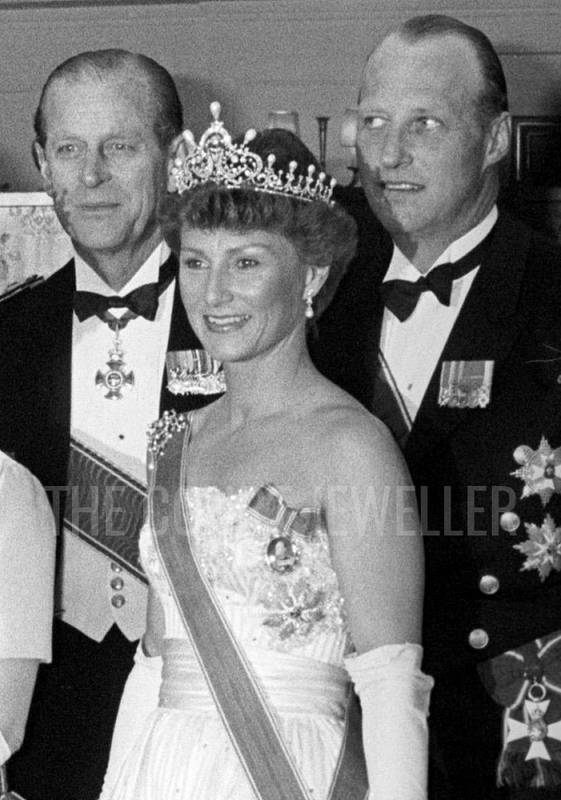 Crown Princess Sonja (later Queen Sonja) of Norway wears the original, complete version of Queen Maud's Pearl Tiara for a banquet hosted by Queen Elizabeth II aboard the Royal Yacht Britannia in Oslo, 13 May 1981; more on this now-lost tiara over here! The Swedish Tiarapedia Is Here! My encyclopedic journey through the world of royal tiaras continues this week in Sweden, as I've compiled the Swedish portion of a favorite part of this website, The Tiarapedia! Princess Maria Laura of Belgium, niece of the country's king, celebrates a milestone birthday today. 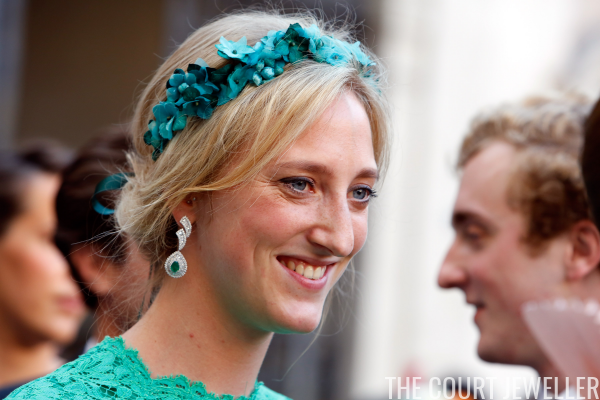 To help mark her 30th, we're looking at one of her sparkliest jewelry moments to date: the diamond and emerald suite she wore for her brother's wedding. 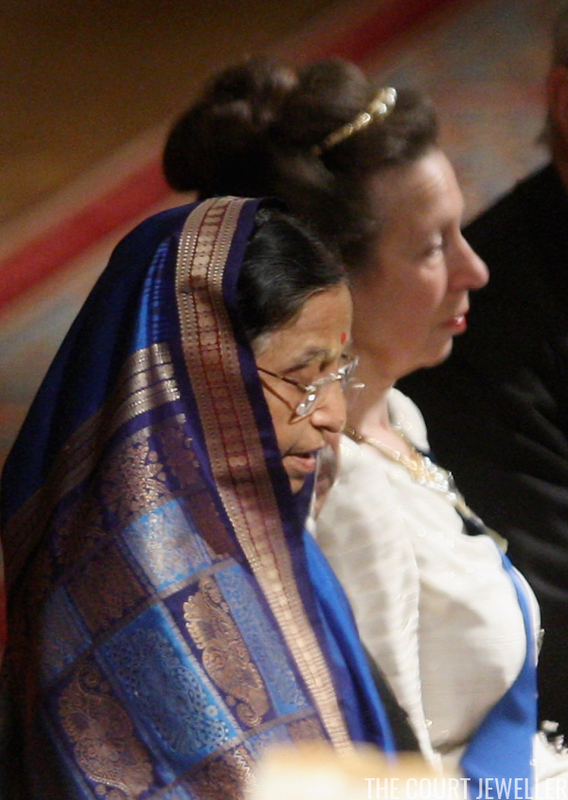 Queen Elizabeth II of the United Kingdom wears the Burmese Ruby Tiara for a state banquet in Slovenia, 21 October 2008; read more about the tiara here! 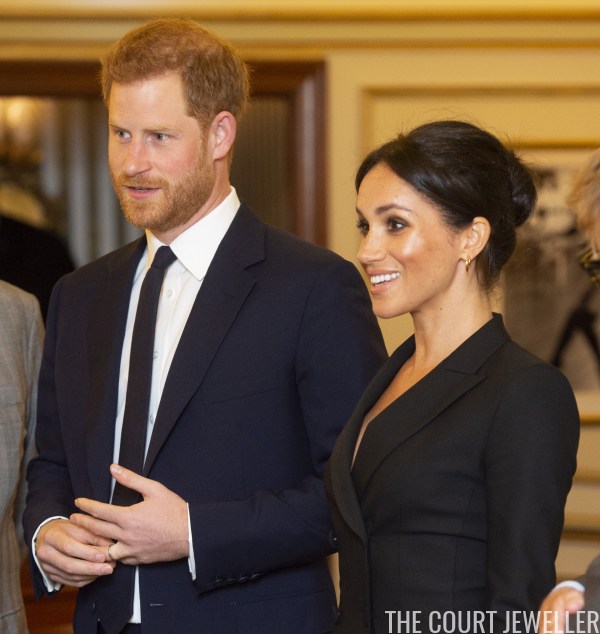 When the Duchess of Sussex unearthed Queen Mary's Diamond Bandeau for her wedding earlier this year, royal jewel lovers rejoiced. 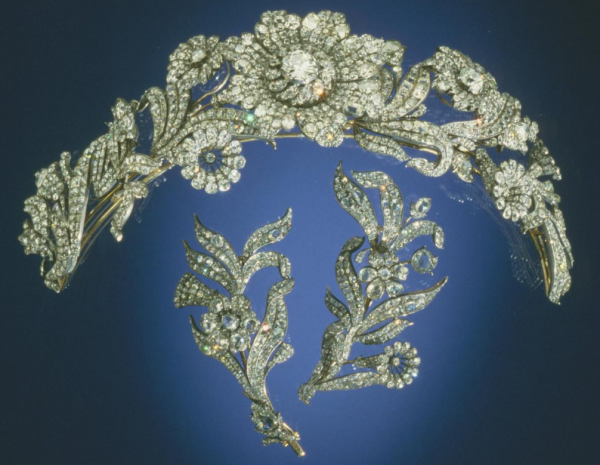 But get excited, because there is very likely another diamond bandeau from Mary's collection still extant in the vaults: her Diamond Lozenge Tiara. Princess Marie of Denmark wears Princess Dagmar's Floral Tiara for the wedding of Princess Madeleine of Sweden in Stockholm, 8 June 2013; more on the tiara here! 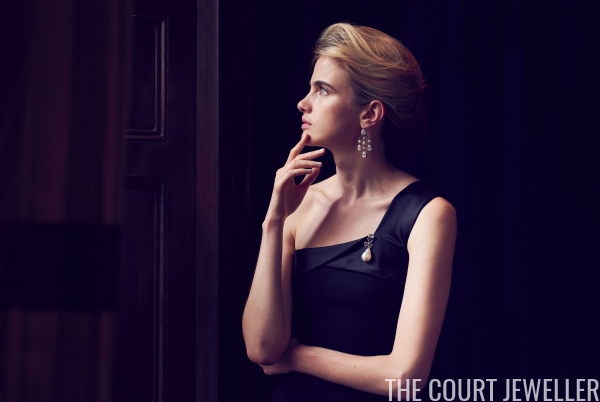 Summer means that most royal ladies are on holiday, but we've still got a selection of jewels from the past two weeks to enjoy. Don't forget to vote for your favorites in the poll below! 10. 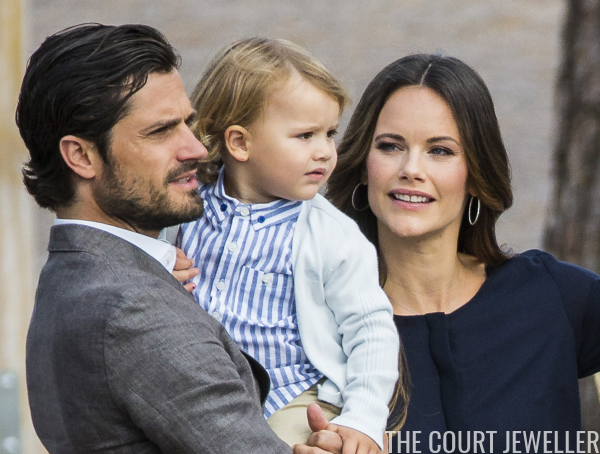 Princess Sofia of Sweden wore slender hoop earrings and delicate bracelets on August 23 for the inauguration of Prince Alexander's viewpoint at the Nynas Nature Reserve in Gisesjon. 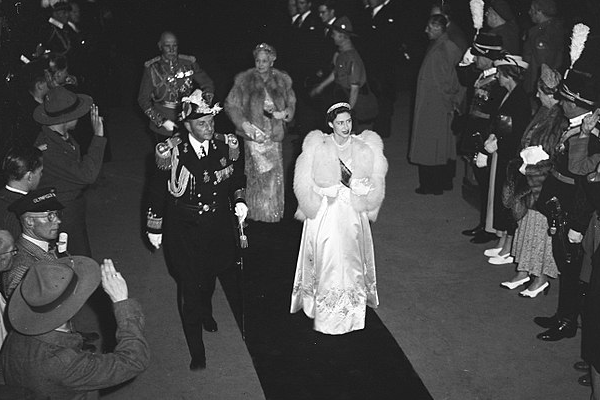 Queen Elizabeth II of the United Kingdom wears the Nizam of Hyderabad Tiara and its coordinating necklace at the Royal Variety Performance, 3 November 1952; more on the suite over here! 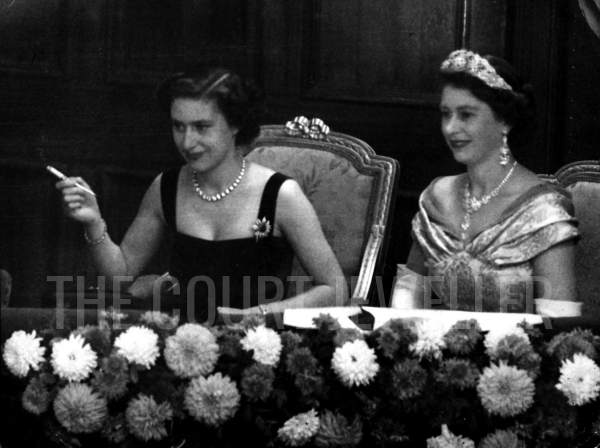 As we've marveled our way through the jewelry box of Queen Anne-Marie this month, I've had lots of questions about one piece in particular: her diamond cross pendant. Queen Silvia of Sweden wears the Braganza Tiara with jewels from the Russian Pink Topaz Suite at the wedding of her elder daughter, Crown Princess Victoria, 19 June 2010; more on the tiara here and the pink topazes here! The luminous peridot, the birthstone of August babies, doesn't get enough credit for its beauty, if you ask me. In the hands of expert jewelers, these olive green gems sparkle with an incredible internal fire. 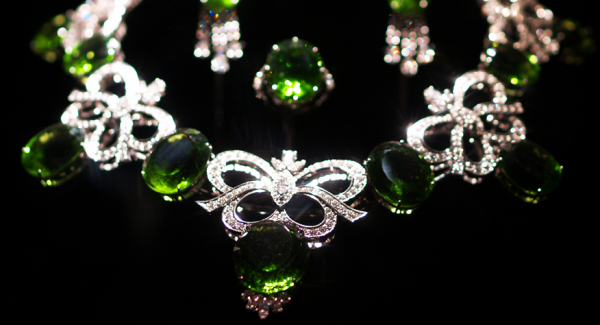 Today's jewels, a suite of peridot and diamond pieces that currently reside in the States, show precisely how lovely the gems can be. 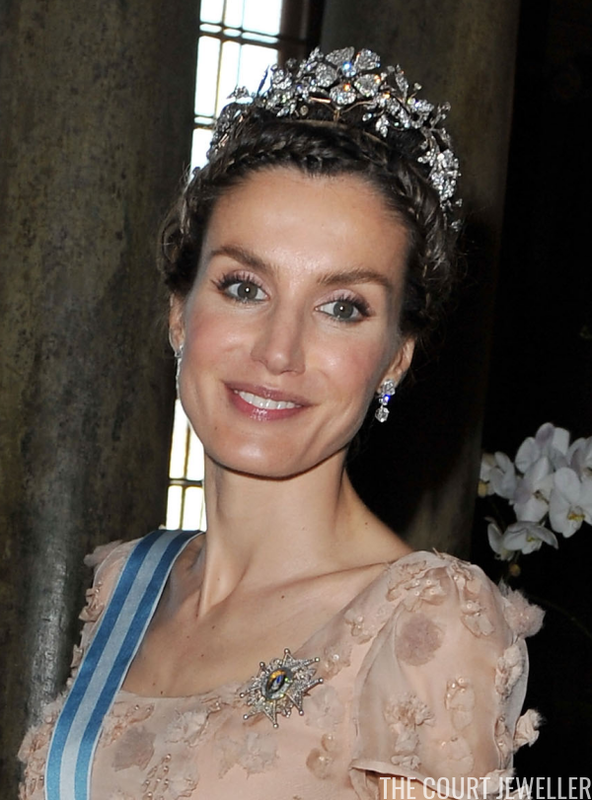 Queen Letizia of Spain wears the Spanish Floral Tiara at the wedding of Crown Princess Victoria and Prince Daniel of Sweden, 19 June 2010; more on the tiara over here! 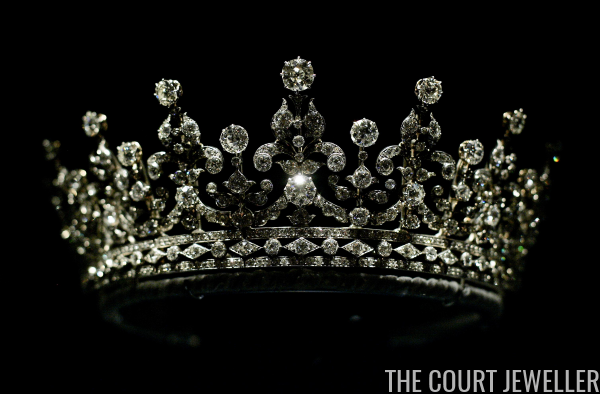 The British Royal Tiarapedia Has Arrived! 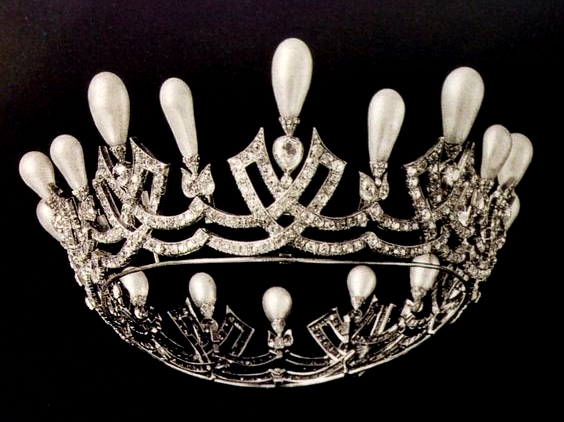 Recently, I've been working on reviving a popular section of this site that has been unfinished since its launch: The Tiarapedia, the original online encyclopedia of tiaras. 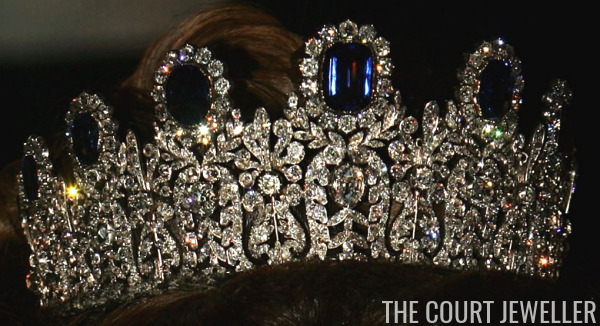 This section is an attempt to provide a single, central location with all of the provenance, ownership, and wearer information for the tiaras worn by our favorite royals. 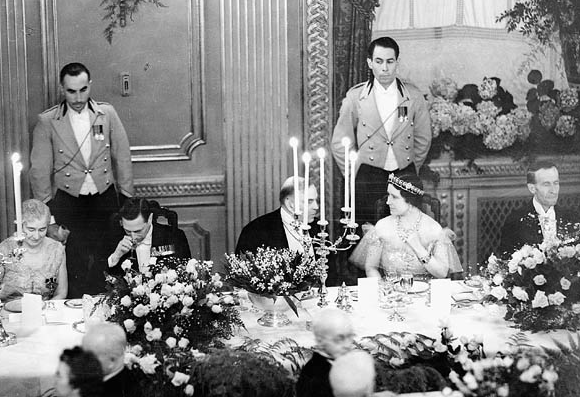 Queen Elizabeth of the United Kingdom (later the Queen Mother) wears the Teck Crescent Tiara for a parliamentary dinner at the Chateau Laurier in Ottawa, May 1939; learn more about the tiara here! 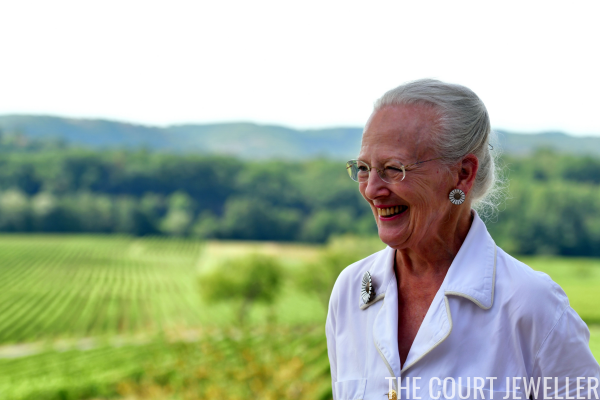 Queen Margrethe II of Denmark is currently in France for her annual summer holiday at her home in Cahors, the Chateau de Cayx. Pieces from her collection of daisy jewelry took center stage at Thursday's photocall on the grounds of the chateau. 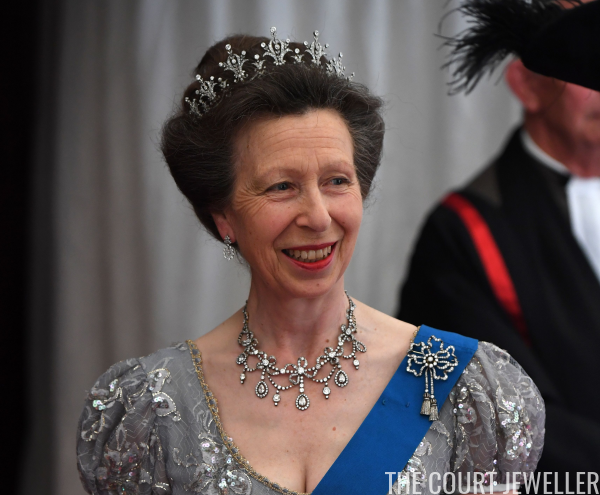 The Princess Royal wears her diamond festoon tiara during a dinner at the Guildhall in honor of King Felipe VI and Queen Letizia of Spain, 13 July 2017; more on the tiara here! 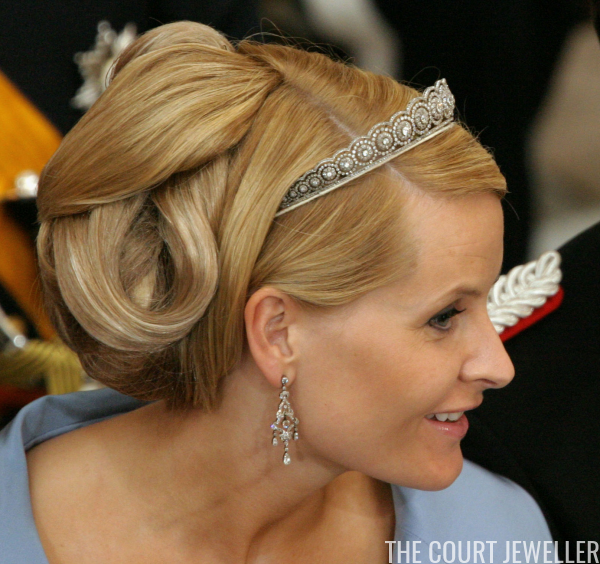 Today, Crown Princess Mette-Marit of Norway marks her 45th birthday, and we're celebrating by taking a look at ten of the most glittering and fabulous royal jewels she's worn since joining Norway's royal family in 2001. Chime in with your own top ten list in the comments below! 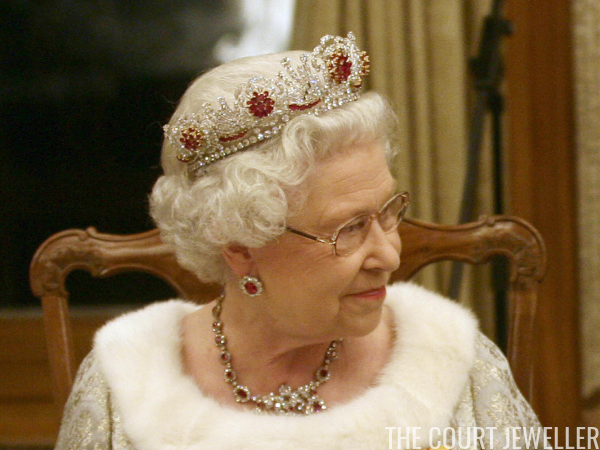 The tiaras that Queen Elizabeth II has worn throughout her lengthy reign have all come from the royal vaults -- with one very interesting exception. 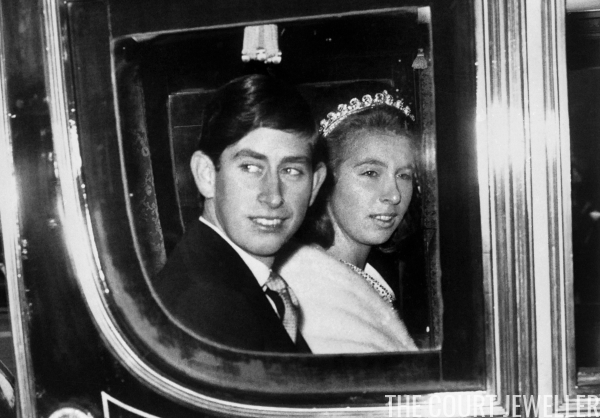 Today, we're talking about the Plunket Tiara, a piece which unexpectedly came to HM's rescue one night in early 1973. 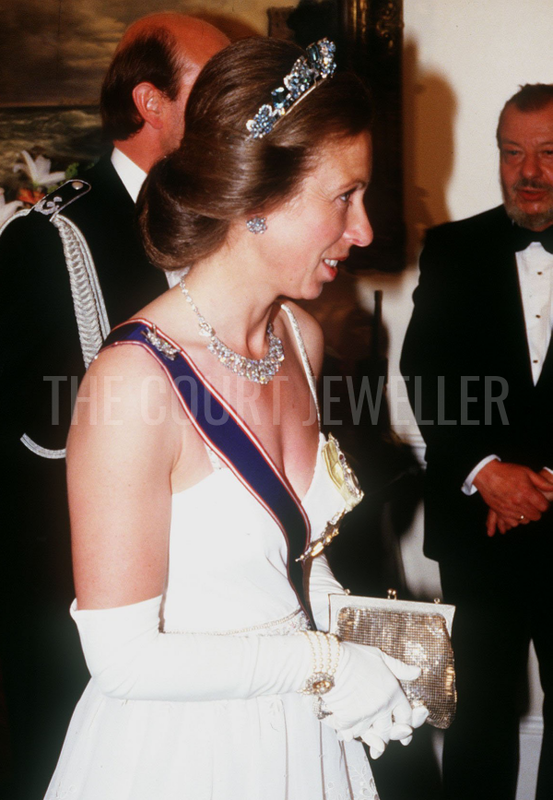 Princess Anne of the United Kingdom (now Princess Royal) wears the Aquamarine Pineflower Tiara for a dinner in Belgrave Square during a state visit from West Germany, 3 July 1986; more on the unusual tiara here! 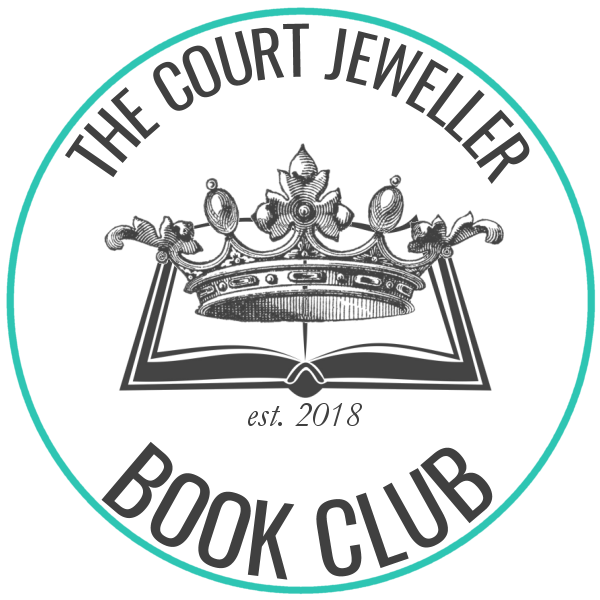 Looking for our weekly jewel review? It'll return next Friday with a fortnightly edition! Rome, Aug. 18 -- Iran's refugee Shah Mohammed Reza Pahlavi  said today he did not plan to abdicate his throne but was vague about any attempt to return to riotous Tehran . Indications were that any return would be in the distant future . 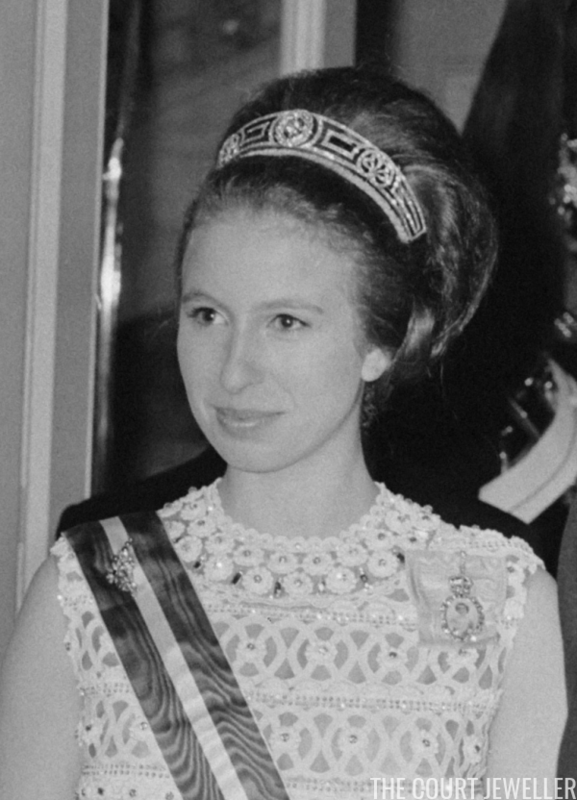 Princess Anne of the United Kingdom (now Princess Royal) wears Queen Mary's Fringe Tiara at her wedding to Mark Phillips, 14 November 1973; learn more about the tiara here! 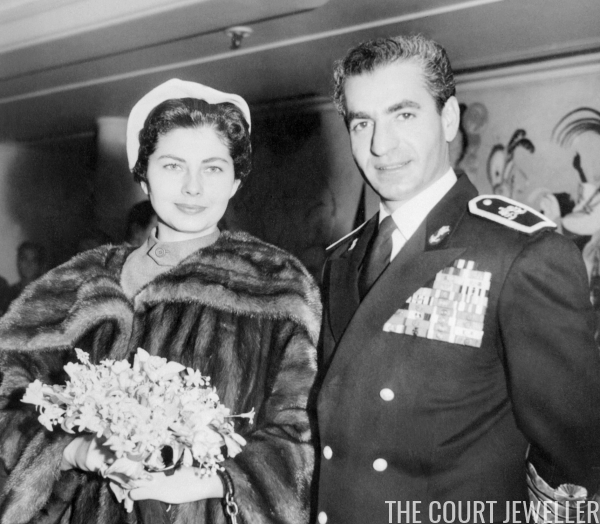 This spring, we learned that Sotheby's will offer an important collection of royal jewels from the Bourbon-Parma family at auction this November. Today, I've got a treat for you -- a look at some of these historical pieces glittering in motion! The Princess Royal celebrates her birthday today, and in her honor, we're spending our morning with pieces from her jewelry box that have stood the test of time: her modern pearl, gold, and diamond earrings. 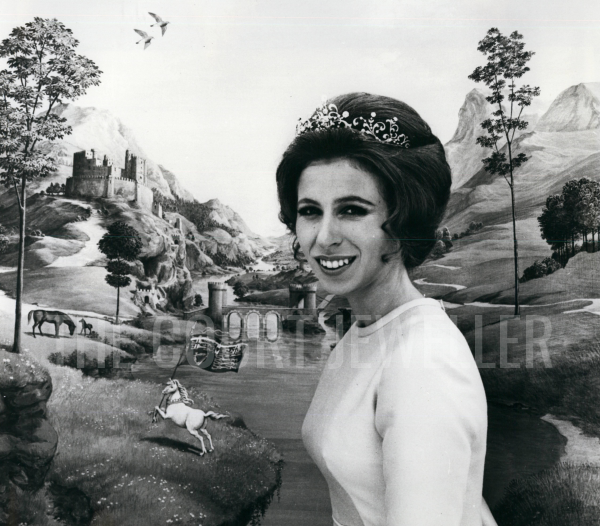 Princess Anne of the United Kingdom (now Princess Royal) wears Princess Andrew's Meander Tiara at the British Embassy in Vienna during a state visit to Austria, 9 May 1969; read more about the tiara's story here! When you think of emeralds worn by the last Queen of the Hellenes, Anne-Marie of Denmark, your mind will almost certainly head straight for the grand emerald parure that belongs to the Greek royal family. But Anne-Marie's collection also includes other emerald jewels, including the modern set of ruby and emerald jewels we're looking at today. 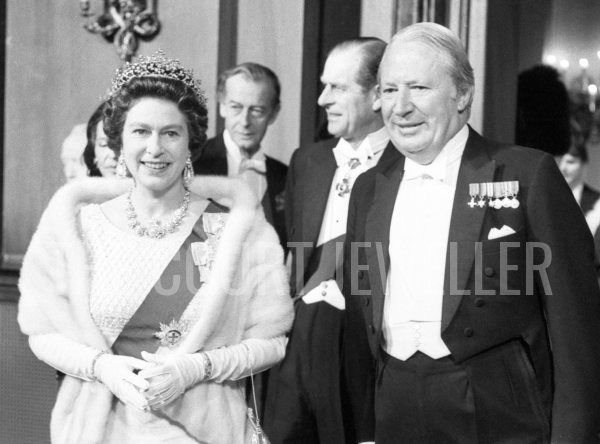 Princess Anne of the United Kingdom (now Princess Royal) wears the Cartier Halo Tiara at the State Opening of Parliament, 31 October 1967; read more about the tiara over here! 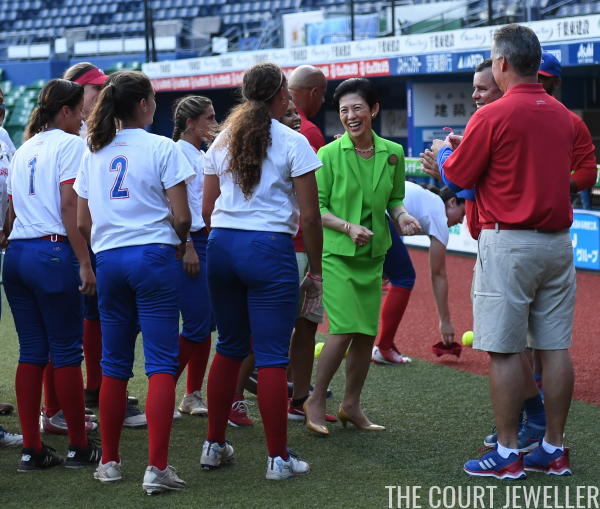 On Friday, the Princess Takamado, one of Japan's most important imperial sports ambassadors, headed to ZOZO Marine Stadium in Chiba to show some imperial support for a major sports championship. When you think of American style icons of the last century, Jacqueline Kennedy Onassis almost has to be on your list. But she didn't just have impeccable taste in clothing -- she also had a pretty impressive jewelry collection. 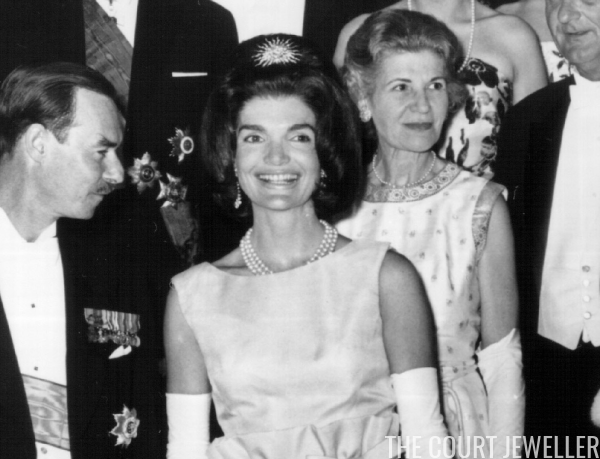 Today, we're looking at one of the workhorse pieces from Jackie's White House days: her diamond sunburst brooch. 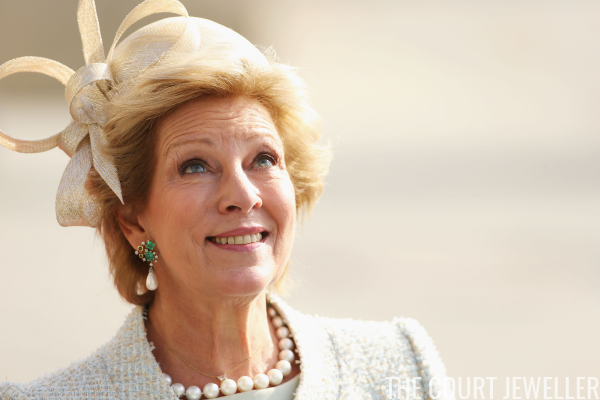 Happy birthday to Princess Mabel of Orange-Nassau! 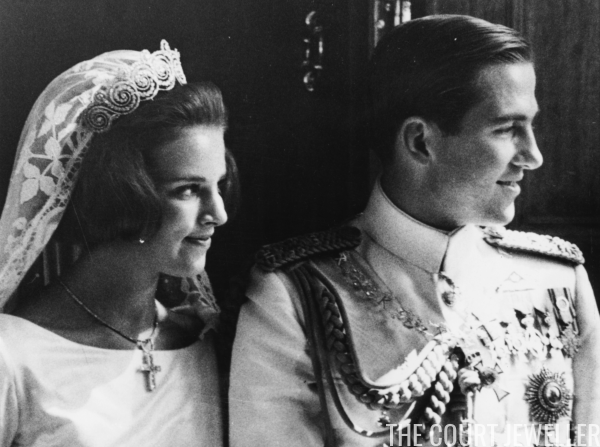 Mabel, who is a daughter-in-law of Princess Beatrix of the Netherlands and a sister-in-law of King Willem-Alexander, celebrates her milestone 50th birthday today, and we're marking the occasion with a look at the sparkling tiaras she's worn since becoming a princess.